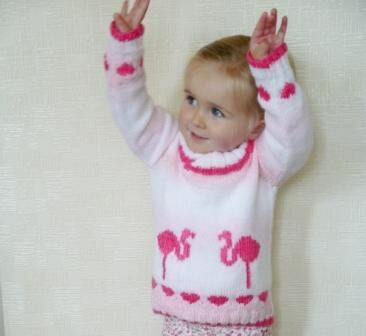 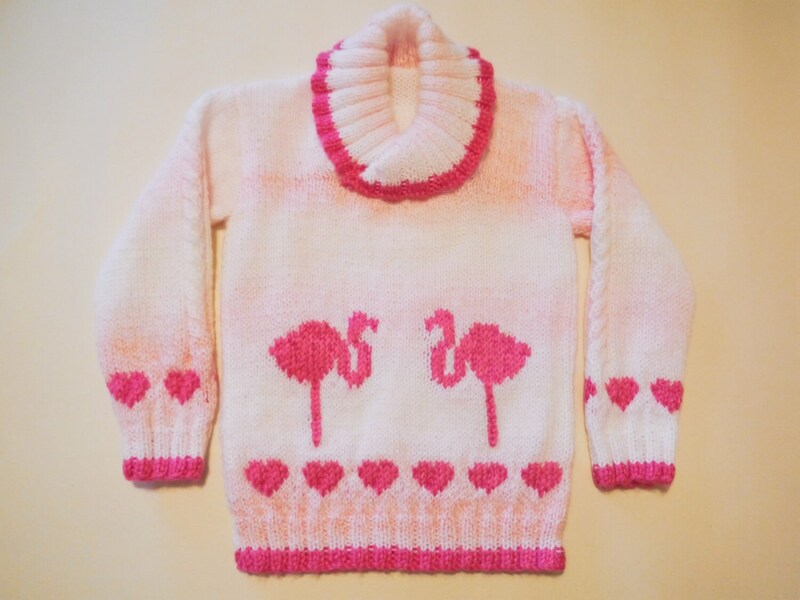 After the success of the "I Love Flamingos" pattern for babies, I decided to design a sweater for older children. 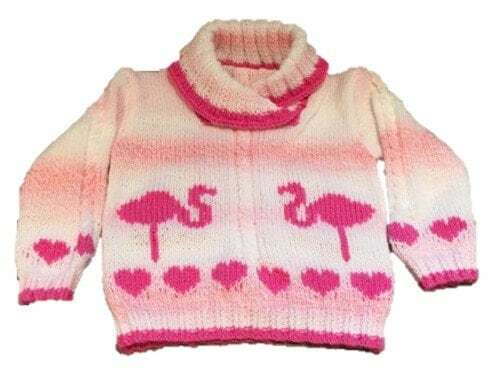 There is a lovely collar on this jumper. 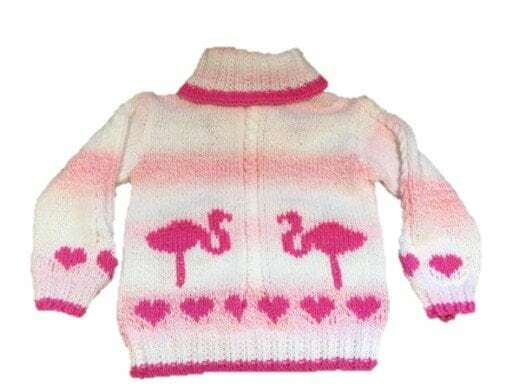 It is easy to knit and is then sewn to the neck opening at the end. 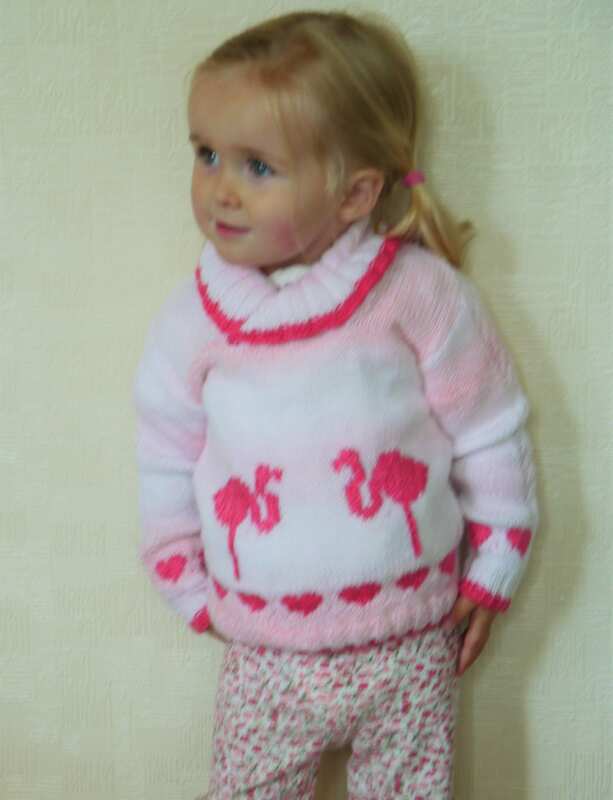 It gives a snug fit and is easy to go over the child’s head. 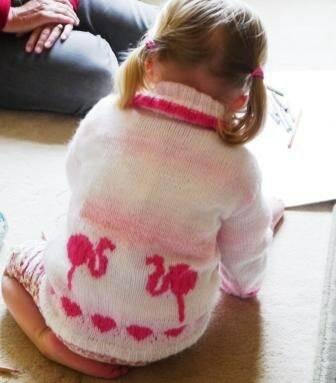 There is also an optional cable feature on the sleeves.